We have much experience in rooftop snow and ice removal, working hard so as not to damage your shingles. 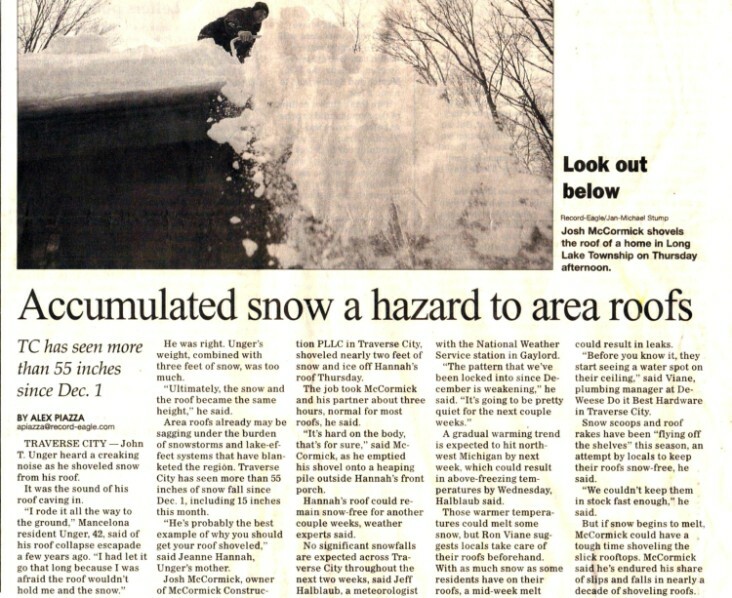 Rooftop snow removal is important so as to avoid ice dams and leaks, resulting in unnecessary expenses. When even soft and powdery snow melts and refreezes, ice dams could form with water being trapped on your rooftop. In this particular situation, the only location for this water to drain may be through the roof and directly into your home. Let McCormick Construction PLLC do the hard work for you and protect your investment.